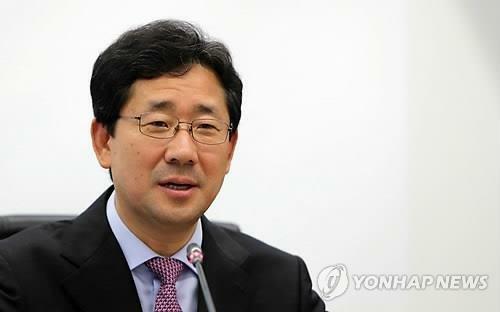 SEOUL, March 8 (Yonhap) -- Park Yang-woo, a culture policy veteran with 30 years of experience in the field, was tapped Friday as the new head of the Ministry of Culture, Sports and Tourism. If confirmed, it would mark a return to the culture ministry after more than 10 years since a stint as a vice minister there. After initially joining the ministry in the early 1980s at the top entry level through a national test, Park steadily climbed the bureaucratic ladder, handling issues in all three of the ministry's branches -- culture, sports and tourism. He served in the presidential secretariat for late President Kim Dae-jung, handling social welfare issues in the late 1990s before taking office as a vice culture minister in 2006 under the late liberal-minded President Roh Moo-hyun. He served in this capacity till 2008. Since serving the two former presidents, both affiliated with what is now the ruling Democratic Party, he has been an art management professor at Chung-Ang University. Between 2009 and 2011, Park was a vice-chancellor at Chung-Ang. While serving in the university, Park has also been active in the art world, serving a stint on the board of the Gwangju Biennale, a globally renowned contemporary art festival founded by the southern city of Gwangju, his home town. From 2015 to 2017, he was the chief of the managing board for the global event. Since 2017, Park has been leading the government committee in charge of reforming the culture ministry, having advised President Moon Jae-in on cultural issues during his presidential campaign.